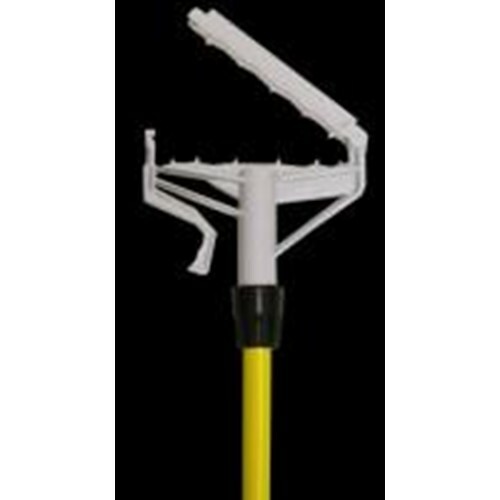 Designed with an easy release lever to quickly drop soiled mops with minimal handling keeping your hands clean and dry. Made from durable plastic that will not rust or support bacteria growth. Handle available in veiled fiberglass. To be used with narrow wet mop headbands.